Chinese wedding traditions are often extravagant, with overwhelming red and gold all meshed into one. It is a colourful and bold celebration of love. 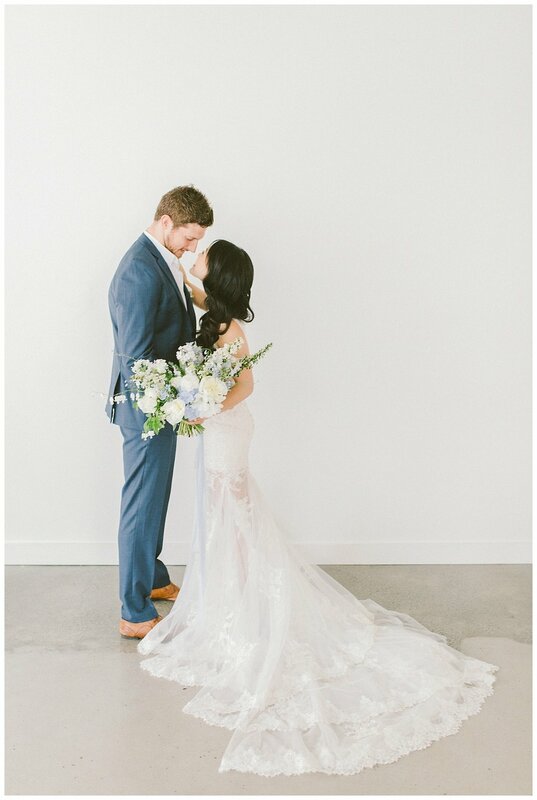 As beautiful as it is, how can the more quiet, artistic and modern Chinese brides who want to honour their culture design a soft and elegant colour palette for their wedding? 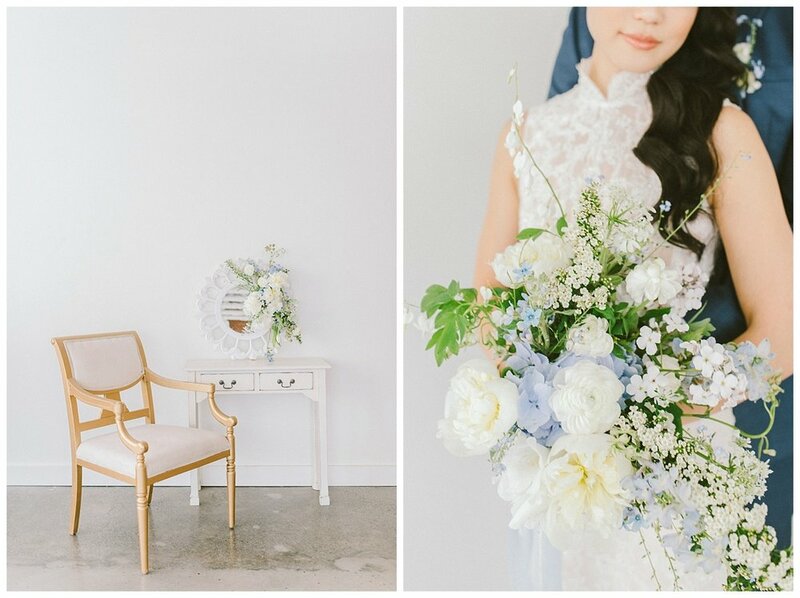 With this wedding inspiration shoot, I wanted to explore creative ways incorporating Chinese elements into Western wedding design. How can we find the delicate balance between the two? How can we reinvent traditions with a modern twist? And how can we honour the past beautifully? 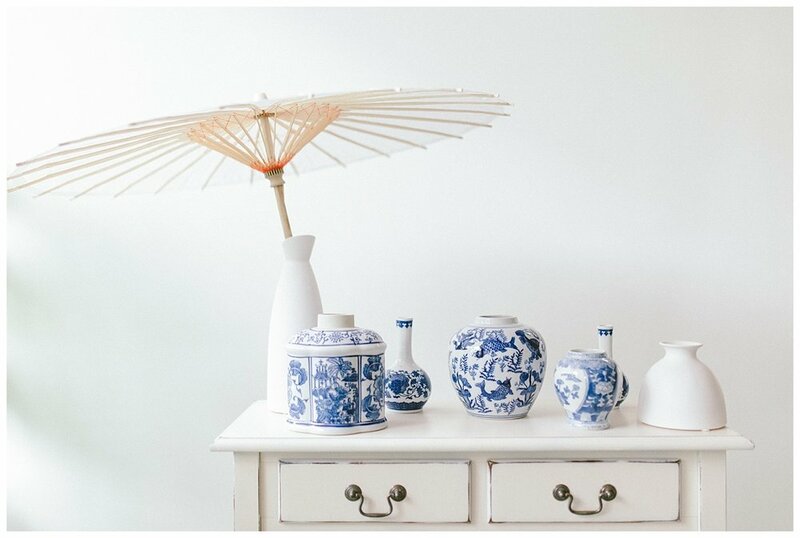 The invention of porcelain was one of the biggest milestones in Chinese art history. 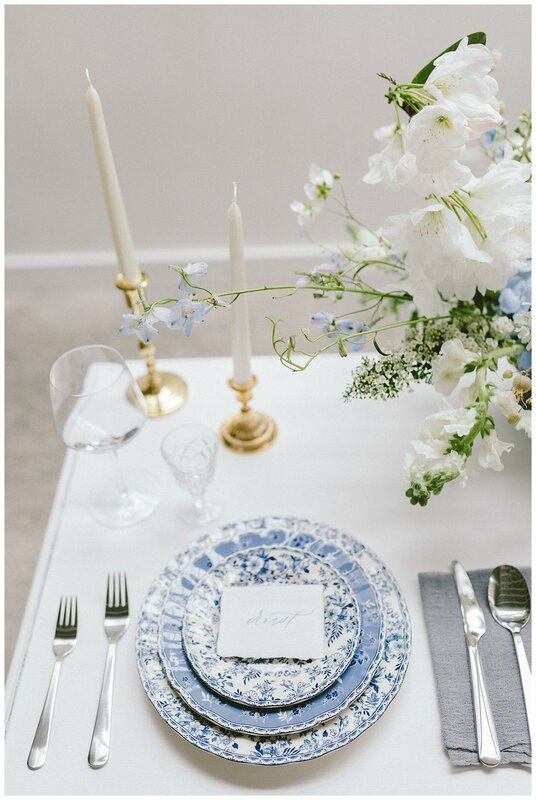 Inspired by these beautiful porcelain designs and colour palette, this wedding inspiration shoot is essentially based on this art form. 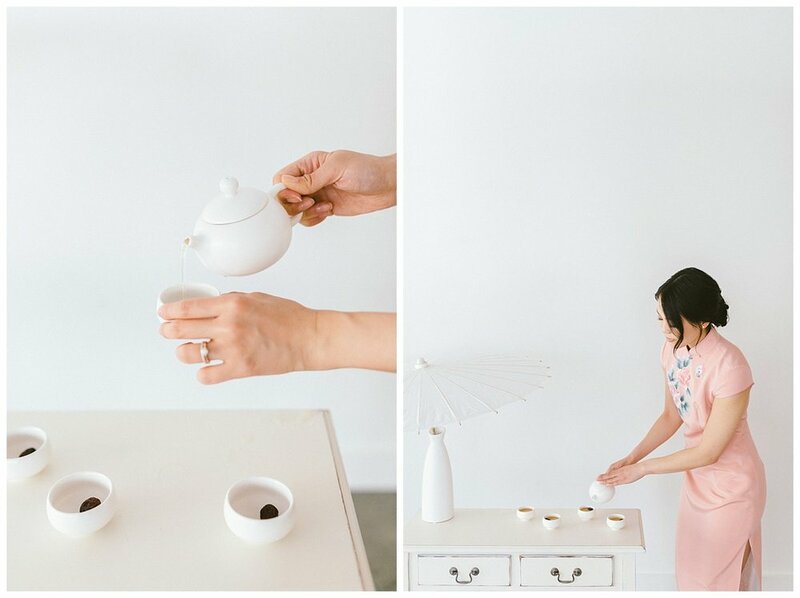 From the traditional tea ceremony and qipao (traditional Chinese dress) to the wedding gown, table settings and decor, I wanted to put together something clean, modern, minimal, with abundant hints of Chinese traditions thoughtfully incorporated. 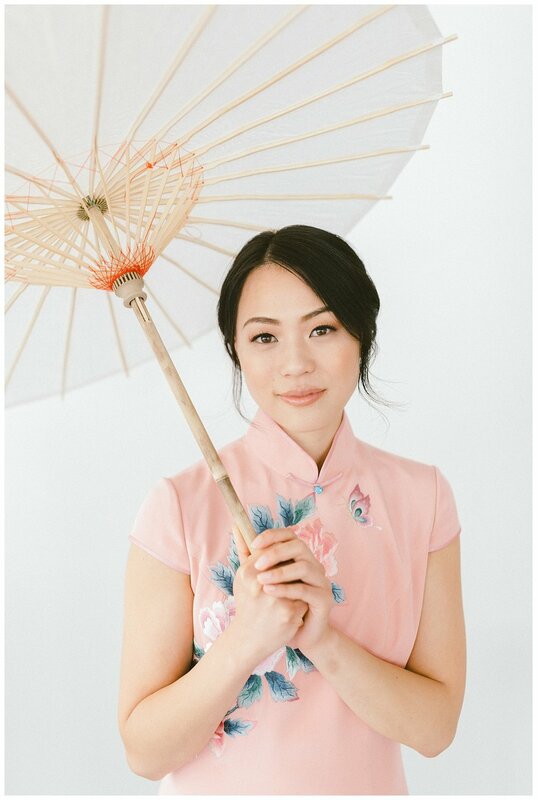 This shoot is shot in Vancouver's historic Chinatown. Featuring a real life couple, I love the real chemistry they have for each other. The porcelains and plates are sourced locally from China. 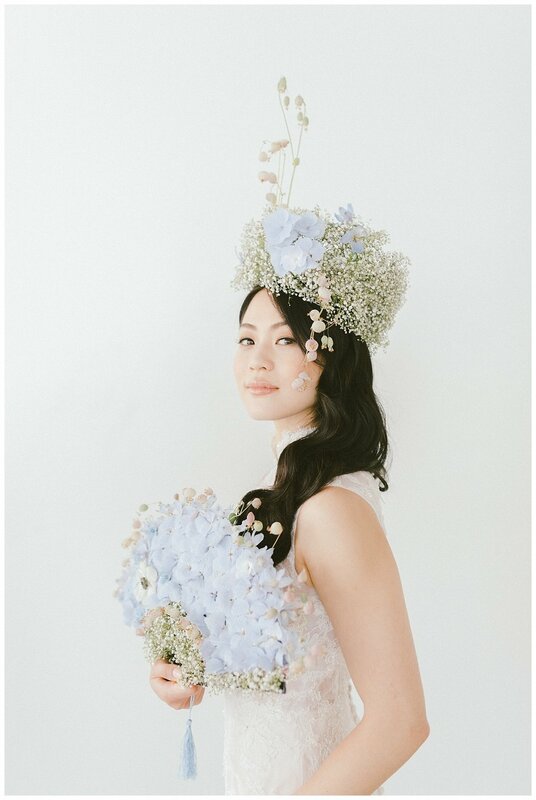 Polina from Da Fiori Design crafted a delicate flower crown and fan to mimic accessories typically found in Chinese weddings--with a natural and elegant take. Ou from OM Design Studio designed the perfect Chinese dress and wedding gown for this shoot. The mandarin collar from the wedding gown is essentially her work of reinventing Chinese traditions with a modern twist! This shoot holds so much meaning, I am beyond honoured and thankful for all the talented vendors who collaborated and made this a reality. 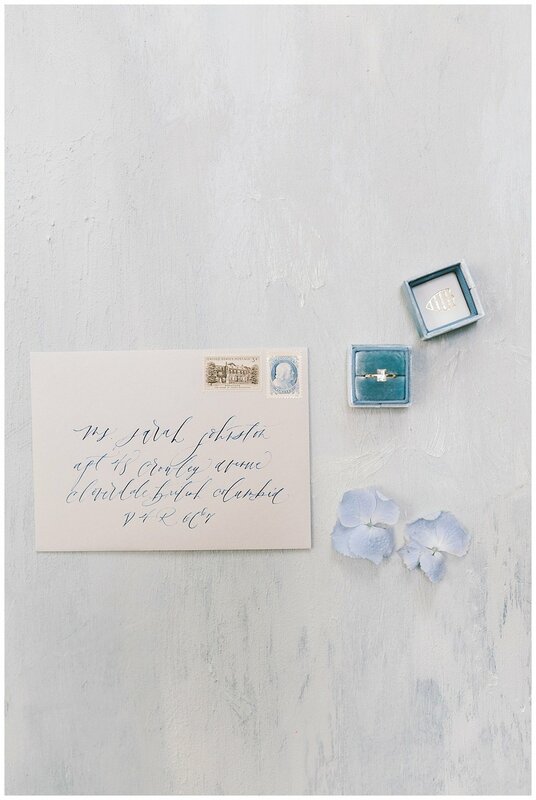 Creative Direction and Planning | Mattie C.
Featured on Grey Likes Weddings.